This document will show you how to point your personal domain name to any web page using the URL redirect function. Step 1: If you have not already done so, purchase your domain name (or transfer an existing domain name) via Fistbump Media's domain name services. Step 2: Log into your Client Area account. Step 3: From the Domains drop-down menu, go to My Domains. 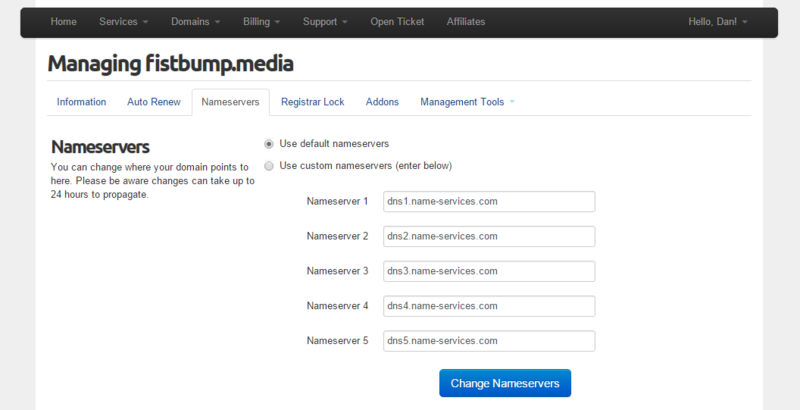 Step 4: Select Manage Nameservers from the Manage Domain menu for the desired domain name. 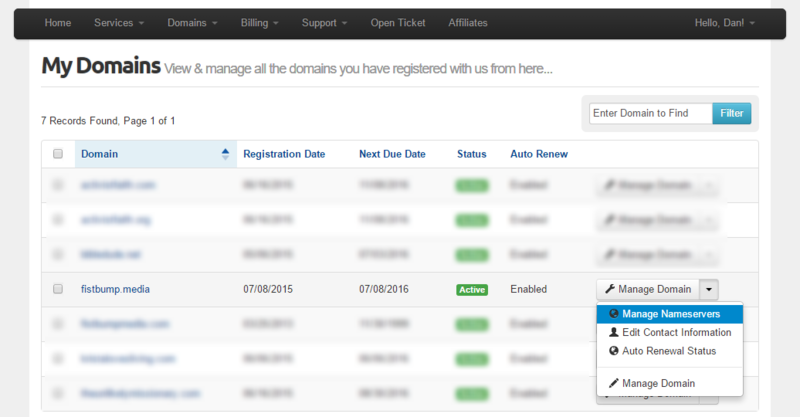 Step 6: From the Management Tools drop-down menu, select Manage DNS option. Step 7: Add two Host Name records (one for @ and one for www), both with the Record Type of URL Redirect and the Address with the link of the page you want users to land on when they type the personal domain name into their browser.